Work is one of the most important things one can do. It is the first command God gave to Adam when He put him in the Garden of Eden (Genesis 2:15), so this page will feature pictures and videos of work being done at the church over the years - some old, some new. 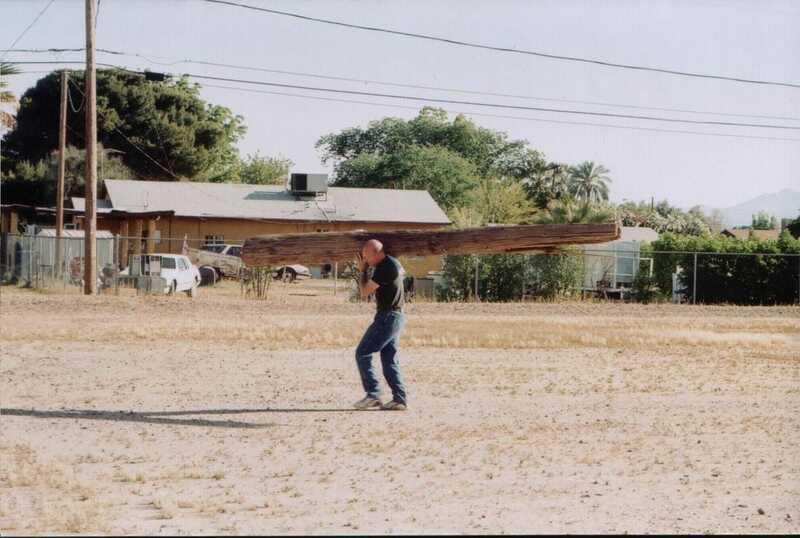 Pastor carried this old telephone pole from the northwest corner of the property to the southeast corner (over 400 ft.) because he thought he could! He may be crazy, but he's not stupid, he had Mrs. Coleman provide him with a towel to pad his shoulder! Bro. 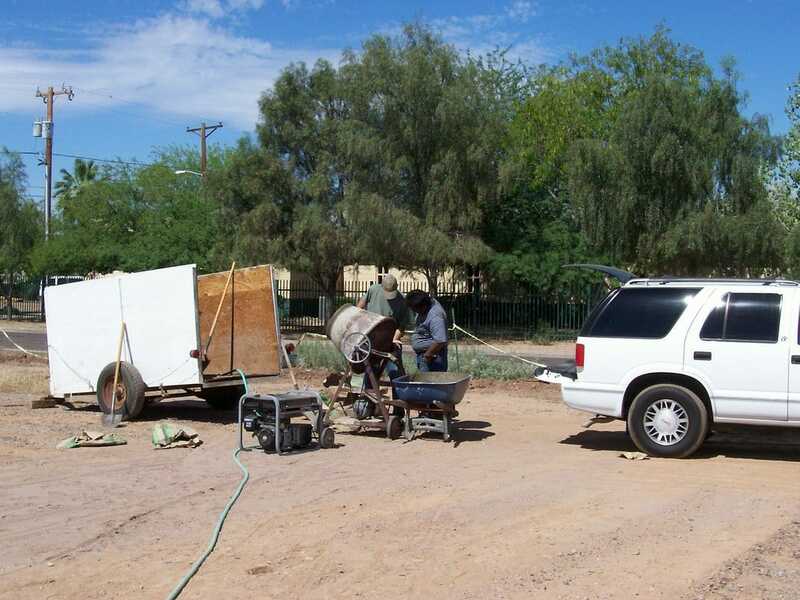 Escobedo assisting Pastor Coleman with mixing concrete for the footing for a future flower garden / barrier on the west end of the church property.